Dollywood is just the icing on the cake in this Smoky Mountains city with a huge events center and exceptional baseball complexes. LeConte Center at Pigeon Forge can host a variety of events including volleyball. The following article appeared in the 2019 Sports Planning Guide. Download the full guide below. This East Tennessee town is probably best known for Dollywood, one of the South’s most famous theme parks, and Stampede, also owned by country singer Dolly Parton. There is, in fact, a lot to do in Pigeon Forge, but we can get to that in the next section. Let’s talk a little about why thousands of sports tourney directors every year choose to host their events in Pigeon Forge. 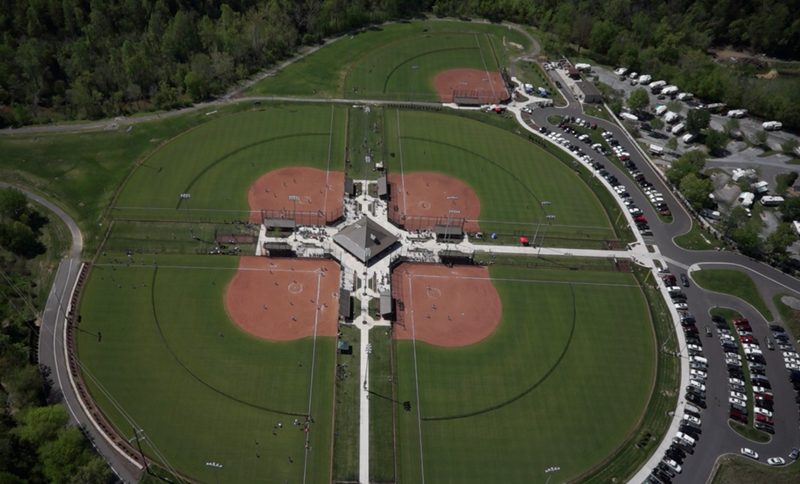 Some of the biggest youth baseball tournaments in the Southeast are held at Ripken Experience Pigeon Forge, a complex that sports six fields and a host of amazing amenities. In addition, a tourney director might be interested in Wears Farm City Park and its five fields. 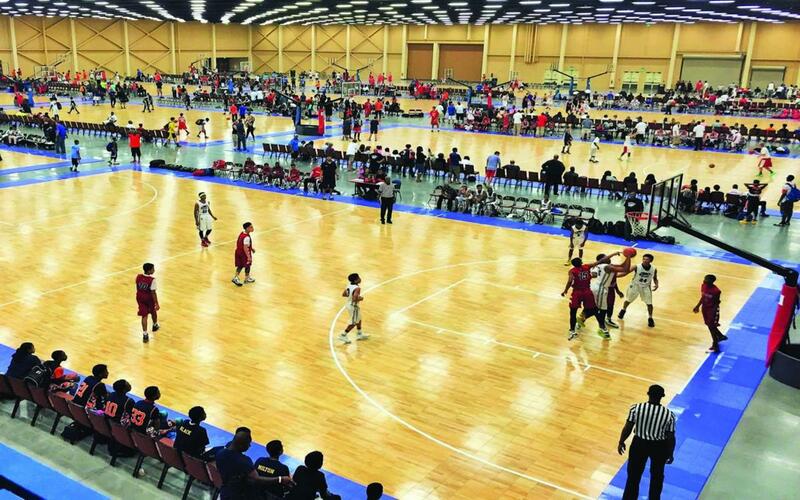 For indoor sports and recreational events, the massive LeConte Center at Pigeon Forge is wildly popular among locals and visitors alike. It can host a variety of sports tournaments and recreational events, and has earned a plethora of awards for its excellence. Named for the scenic views of Mount LeConte in Great Smoky Mountains National Park, this facility sits right in the heart of Pigeon Forge. The center spans 232,000 square feet and prides itself in its flexibility—it is capable of holding trade shows and expositions as well as completive events. 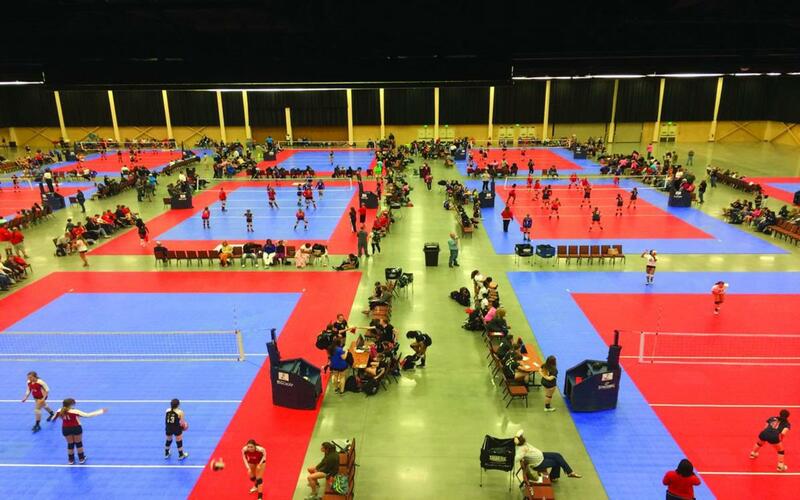 Opened in October 2013, LeConte Center has thrived as both an economic driver—new jobs, more investment and further city development—and a popular spot for sports tournaments. Thought you were done with America’s Pastime in Pigeon Forge? Guess again: Wears Farm City Park boasts an abundance of fields and the perfect amenities that make it fun for a family to enjoy a summer day at the ballpark. There are five lighted baseball fields in one complex and one additional field close by. But baseball tourneys are about more than just the games. Luckily, the main facilities offer batting cages, warm-up areas, restrooms, concession stands and vending machines. 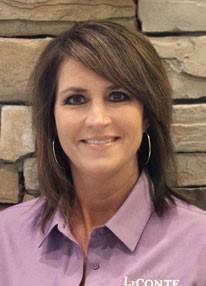 With such a plentiful array of fields and features, Wears Farm City is a top pick of many tournament directors. 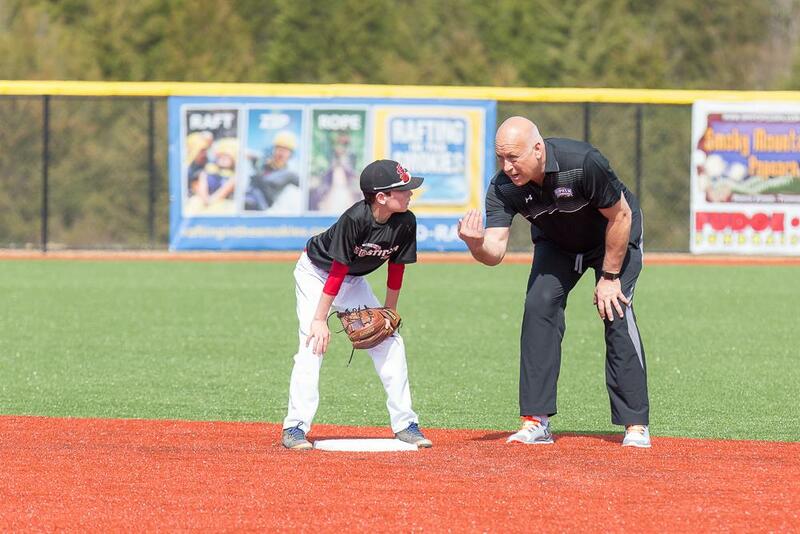 The Ripken Experience might be the best experience possible for an eager youth baseball player or an experienced coach. Hosting a baseball tourney in Pigeon Forge is worthwhile, as Ripken Experience offers an incredible backdrop of the Smoky Mountains and features replicas of six professional ballparks. Reserved for the 7U-12U age groups, there is no better place for a kid to chase his major league ambitions while learning a little about the history of American baseball stadiums. The complex enjoyed its inaugural season in 2016, when it welcomed over 600 teams to the area. It is inevitable that the game will end, the buzzer will sound, the dust will settle and families will need something to do as they step away from Pigeon Forge’s playing facilities. Well, they’re in luck. Dollywood, hosting more than three million guests in a typical season, offers thrill rides and music productions from mid-March through Christmas. Another cool place Dollywood’s Splash Country, a 35-acre waterpark. Additionally, Pigeon Forge hosts numerous car and truck shows throughout the year, including the Great Smoky Mountain Truck Show and Ford F-100 Super Nationals. The town has become somewhat of a mecca for car and truck enthusiasts in the Southeast. Outside of cars, trucks and Dollywood, there’s even more to do in Pigeon Forge, from the Titanic Museum Attraction and the Island in Pigeon Forge to indoor skydiving, go-carts, mini-golf and more. Wonderworks Indoor Amusement Park offer ample entertainment options including featured exhibits such as Natural Disasters, Light & Sound Zone and Space Discovery. Tourists will enjoy all the sights and sounds in this lively Southern city. Breathe in some fresh mountain air at Great Smoky Mountains National Park. This is America’s most visited National Park, and for good reason. Visitors can hike throughout the park to get glimpses of waterfalls, bluffs and very diverse wildlife. The LeConte Center was a great location for our Championships event. Pigeon Forge provided an abundance of nearby hotels and fun activities for our teams and the LeConte Center staff was excellent to work with. We could not have asked for a better experience. Hosting our annual Make It Count gymnastics invitational at the LeConte Center is the best move we ever made! The LeConte venue is unsurpassed in its beauty and spaciousness and the staff at the LeConte Center sets you up for success every time! The staff have that unique ability to balance professionalism with friendliness! By Car: Pigeon Forge sits right off of Interstate 40 and is only 33 miles southeast of Knoxville, four miles south of Sevierville and five miles north of Great Smoky Mountains National Park. There are two interstates—I-75 and I-81—that are also connected to State Route 66 and provide easy access to drivers. By Air: McGhee Tyson Airport is located in Knoxville, only 34 miles from Pigeon Forge. Just seven miles away, in Gatlinburg, is Gatlinburg-Pigeon Forge Airport. The closest international airport is Charlotte Douglas in Charlotte, North Carolina, 209 miles away.